This English surname is occupational, an official one for a steward or bailiff. 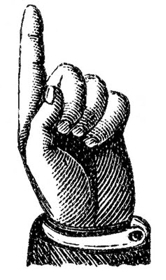 According to House of Names, the name can be traced back to the Anglo-Saxon tribes of Britain, and one that was given to the member of a family who “worked as a local representative of a lord.” The surname is derived from the Middle English word “reeve” which was derived from an Old English word, “(ge)refa”. Early records show Sampson le Reve on the Hundred Rolls of Suffolk in 1273 and James le Reve appeared in the Calendar of Letter Books (London, 1281). Spelling variations include: Reeve, Reeves, Reve, Reave, Reaves, Rives, Reavis and more. In researching the Reeve surname I came across an early American with an interesting forename I had never seen before. As it turns out, he made quite an impact on American history and the shaping of our judicial system. Although I saw one reference to his name being “Tappan”, most sources have his name as “Tapping”, his mother’s surname. Tapping was born on October 17, 1744 to parents Reverend Abner and Deborah (Tapping) Reeve in Fire Place (now Brookhaven), Suffolk, New York. Tapping graduated from the College of New Jersey (now Princeton University) in 1763, and while continuing his post-graduate education was the headmaster of a school in Elizabeth, New Jersey. During that time he was also hired as the private tutor of the orphaned children of Reverend Aaron Burr, Sr. and his wife Esther Edwards Burr. Reverend Burr’s children, Sally and Aaron (who later served as the third Vice President of the United States under President Thomas Jefferson), were under his tutelage for several years. Tapping fell in love with Sally, but because their age difference was so great and he hadn’t yet established himself financially, he was refused permission to marry her. Tapping went to Hartford, Connecticut (he had received his Masters from the College of New Jersey in 1766) and read the law under Judge Jesse Root. With his commitment to a promising career as a jurist, his request to marry Sally was then granted. On June 4, 1771 the couple married. The following year Tapping received his credentials and the couple moved to Litchfield, Connecticut where he began his law practice. With the success of his law practice, Tapping was able to build a home for Sally across the street from Governor Oliver Wolcott. In 1774, his brother-in-law Aaron moved to Litchfield so he could study law with Tapping. However, revolution was more on the mind of young Aaron when he departed the following year to join the Continental Army. Tapping’s poor health prevented him from being an active participant in the Revolutionary War, although he was fervently patriotic. In 1776 he undertook the task of recruiting volunteers for the Continental Army and was later commissioned as an officer (ceremonially only it appears), accompanying his recruits to New York and then returning to Connecticut to care for ailing wife Sally. Tapping’s skills as a lawyer brought other young men to study under his tutelage like Aaron Burr had before the war. Apprenticing under another attorney or judge was common practice, but as his reputation spread and brought more students Tapping decided to develop a series of lectures that would help his students pass the bar exam and practice law. At this point in American history there were no colleges or universities which offered law degrees. Thus, when Tapping began to develop curriculum the process became more formalized. At first, students met in his law office, but when the numbers increased dramatically he built a one-room building next door to his home. After an eighteen-month course of lectures, the young men were well-prepared to succeed in the practice of law, should they pass the bar exam. Students took detailed notes in their classes then later re-copied them and bound them into leather volumes, forming the basis for their own personal “law library”. For the remainder of their careers as lawyers, these students possessed valuable reference material to guide them. 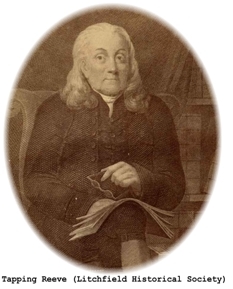 Tapping Reeve continued to teach his students until 1798 when he was appointed to sit as Judge of the Superior Court of Connecticut. At that time he hired one of his former students, James Gould, to run the school. He was later appointed to the state supreme court and was named its Chief Justice in 1814, serving just one year in that position before retiring. He died on December 13, 1823. And that is how the first law school came into existence in America. The one-room school house, the original law school, and Tapping Reeve’s home were given status as National Historical Landmarks in 1965. Tapping’s father Abner, who although a successful minister and an “extraordinary man” in the words of one biographer, experienced some moral failings. An article about Abner is included in the Early American Faith Special Edition on sale here.